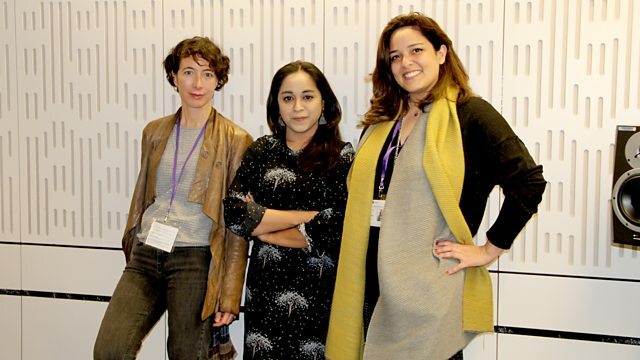 Novelists Ayelet Gundar-Goshen, Layla AlAmmar & historians Jennifer Aston + Jessica Malay join Shahidha Bari. The Pact We Made by Layla AlAmmar and Liar by Ayelet Gundar-Goshen are out now. Jennifer Aston from the University of Northumbria is researching divorce and domestic violence in England and Wales, c.1857-1923. Jessica Malay from the University of Huddersfield is responsible for the first print edition of Lady Anne Clifford's Great Books of Record. She is also the author of a book on a 17th century woman who wrote of her troubled marriage, which includes harrowing experiences of domestic abuse who went through two court cases pursuing a separation from her husband. The book is the Case of Mistress Mary Hampson. Lakeland Arts is re-uniting a portrait of Lady Anne Clifford loaned by the National Portrait Gallery with an image of her mother Lady Margaret Russell at the Abbot Hall Art Gallery, Cumbria from 22 March - 22 June 2019.